It’s getting busy here at Zazzle headquarters, and the Zazzle elves who bring your designs to life and get them shipped safely to you are working harder than ever. With the holidays fast approaching, our production facility in San Jose, CA is running around the clock. Here are some behind the scenes snapshots to give you an inside look. Enjoy! Z is for zoooom! Packages on their way out the door of our manufacturing facility – straight from Zazzle to you. Looking good! 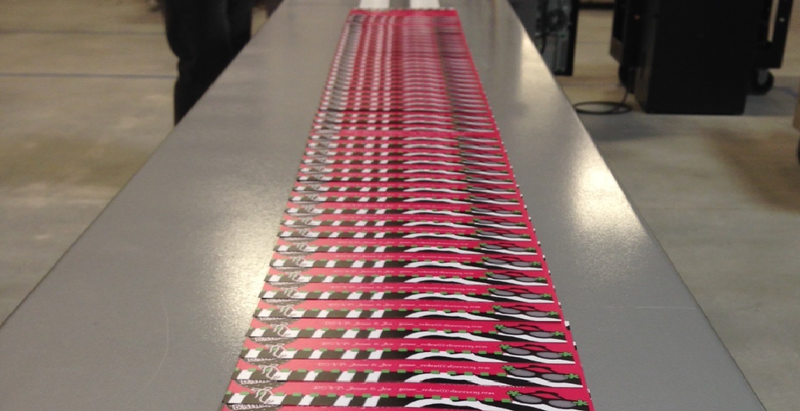 A brand new batch of invitations coming down the line at our manufacturing facility. When we say we can print pretty much anything, we mean it! 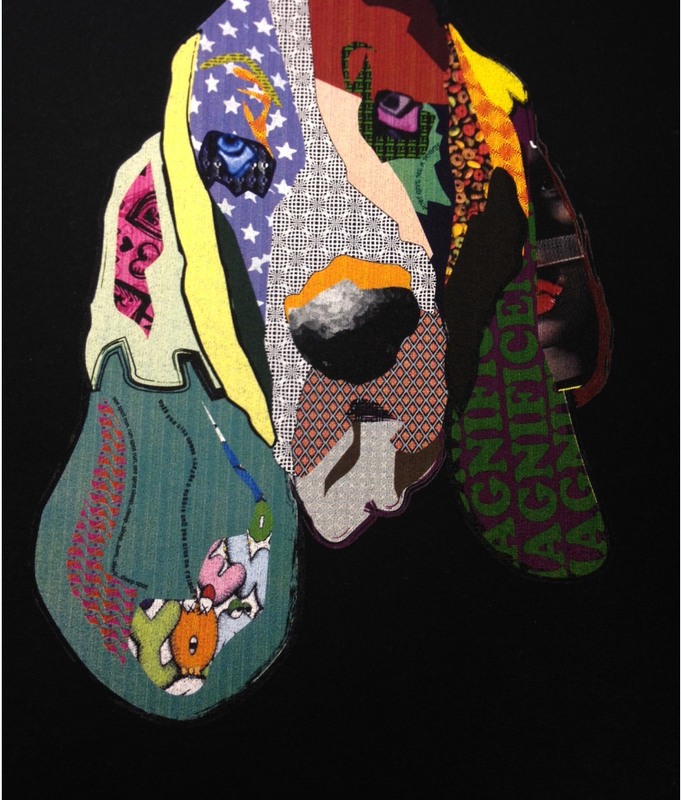 This unique t-shirt is colorful – though somewhat droopy – proof! 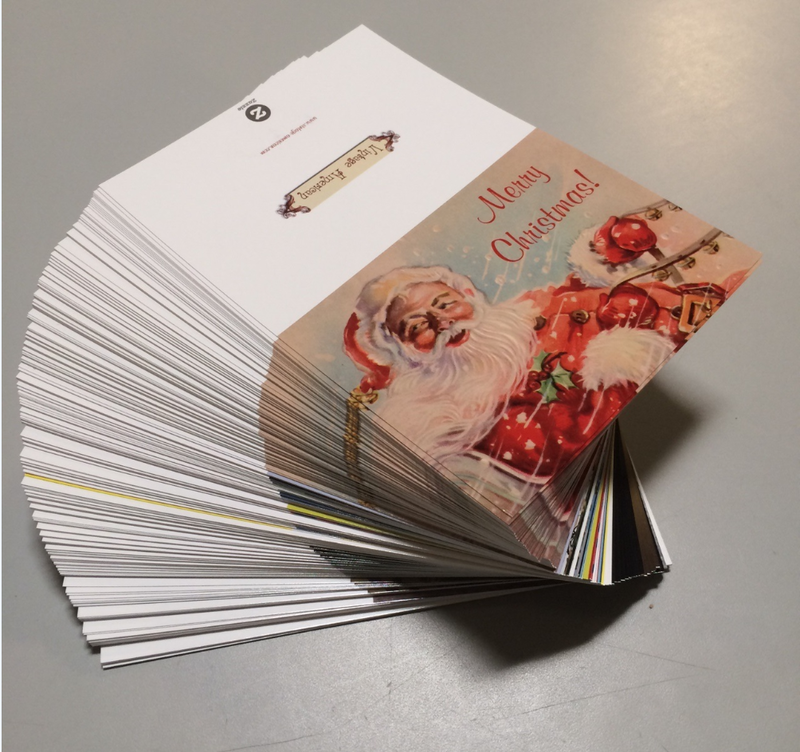 Freshly printed Christmas cheer from our manufacturing facility. The early birds are getting ready for the holidays already!